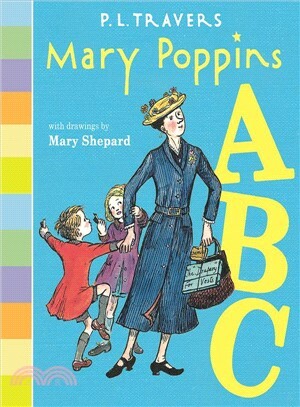 A practically perfect alphabet board book full of fantastic words from the whimsical world of Mary Poppins! Based on the 1962 classic edition. The ideal introduction to the magical nanny for the very youngest readers. Mary Poppins, the beloved English nanny from page, stage, and silver screen, comes alive for the youngest readers in this full-color, fanciful alphabet board book. Each letter offers the opportunity for a poetic romp through the adventures from the novels. So fly in on the East wind for Exciting Escapades (with the letter E), and share this truly unique book with Mary Poppins fans old and new. P. L. Travers (1899–1996) was a drama critic, travel essayist, reviewer, lecturer, and novelist. She wrote several other books for children and adults, but it is for the character of Mary Poppins that she is best remembered.